One thing I must admit. Having a day-job and then trying to accomplish something besides that is quite hard. 9-5, or in my case 10-6, or sometimes 7-3 work hours take quite a lot of energy and then starting engraving or designing something isn’t that easy. At all. Try as I may, sometimes I still need to rest and play. Do something non-serious just to chill out. Doing months and months of 10hr or so workdays without a break isn’t that good idea. Past month was something like that. I needed to design and engrave one dagger. Without a job it’s easy. I take one day to design it and next day to engrave it, or something similar. But right now I came from work, tired as a dog, slept 20-30 min and tried to come up with something decent for design. It took few days. Then I redid the design completely. Few more days. And then 2 nights to engrave the dagger itself. Few weeks ago me and dad came up with an idea, that we really need some specific products that we can sell at our website. I probably will add there PayPal cart or something similar. So if anybody wants to buy a knife from us, then can do so without calling us and going through all the waiting, designing and stuff. Custom things are still made to order, of course. So we took the bars of CPM-S30V steel that I had ordered, came up with few designs and started grinding. Right now they are ready to heat-treat, which I’ll do in professional shop. 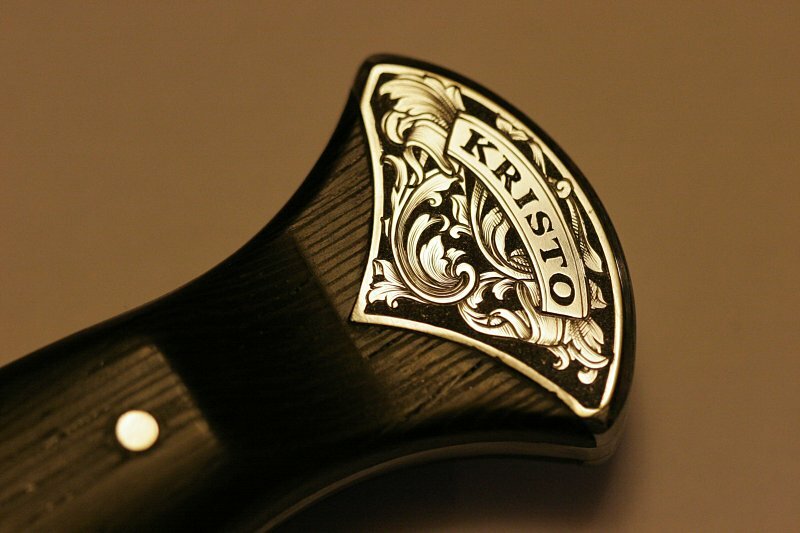 When they are finished with sheath and some engraving their price on the web will be around 150-200 USD. I was really happy to find your blog. I’ve looked at the lindsay and igraver sites, but I would like to hear about how you started engraving. The investment in the air tools is a lot. Did you try hand engraving first, or take a class? Angeline, I started engraving about a year ago. Or I tried to start. We bought GRS system and tried it for some time, I didn’t do any non-power assisted hand engraving. It didn’t really work out that well. Then I took Basic Engraving course from Sam Alfano in Antwerp, Belgium (http://programmerblacksmith.wordpress.com/2007/07/17/antwerp-engraving-diamonds-and-jews/). That really helped – one week of intensive learning. If you try to decide whether to buy GRS or Lindsay, then I suggest Lindsay. If you think whether to go to course, then definitely yes! If you live in the States then Ray Cover gives courses and some other alternatives besides GRS, but GRS is very good too. 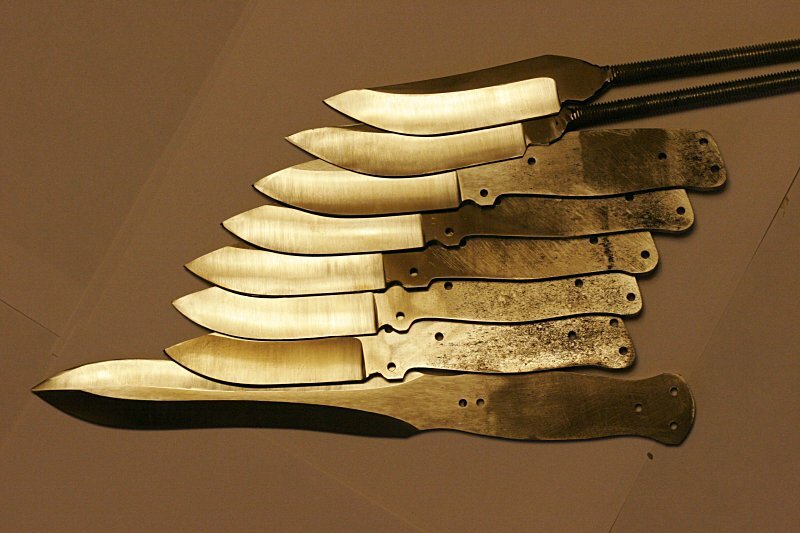 How much would the first dagger cost? Also, do you have a shopping website? If not, consider adding one. A lot depends on the requirements, but that dagger would cost around 200 EUR with that kind of engraving. I did have a webshop at one time, but it didn’t have much point, because all of my work is made on order and I don’t have time to do work on the shelf waiting for someone to buy it (yet).